The College of Education Office of Research Development Support connects faculty and staff to resources, opportunities, and programs. The Research Suport Team provides assistance to PIs at every phase of their research projects, from proposal to closeout. 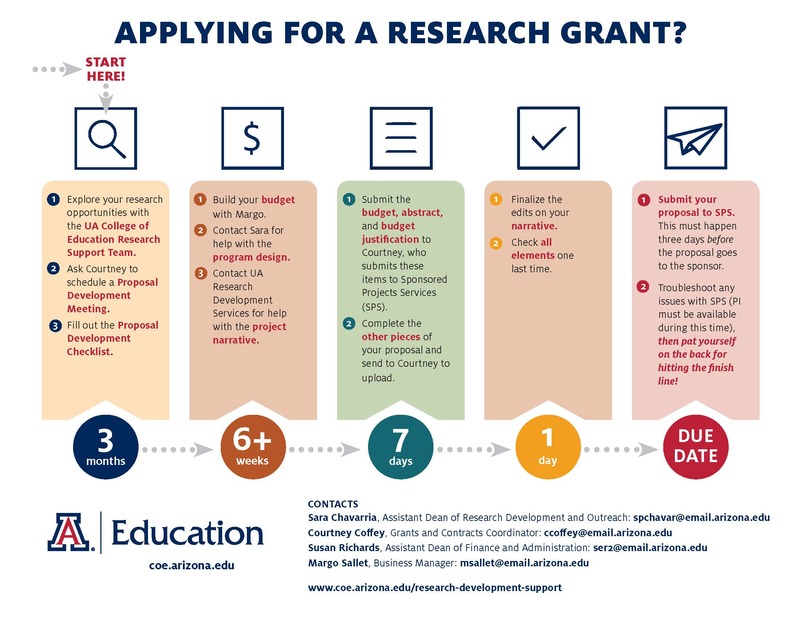 College of Education PIs are encouraged to use the Research Support Team, regardless of project size, sponsor, dollar amount, or whether it is a primary or subcontracted project. Our team supports proposals and projects routed through Sponsored Projects Services and the University of Arizona Foundation.